Move a Troublemaker to a Problem. 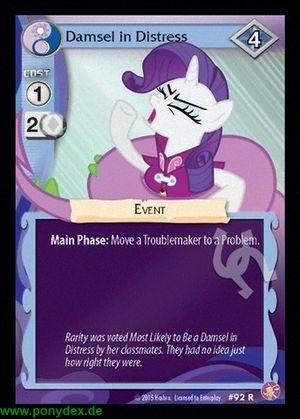 Rarity was voted Most Likely to Be a Damsel in Distrsss by her classmates. They had no idea just how right they were.